Cast on a multiple of 9 stitches. 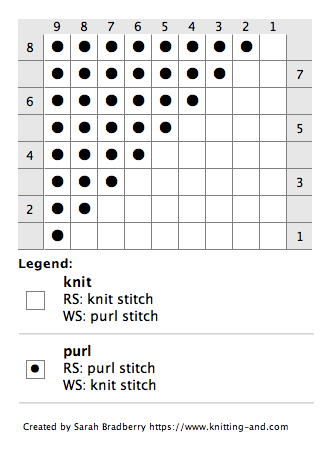 Row 1 (RS): *K8, p1, repeat from *. Row 2: *K2, p7, repeat from *. Row 3: *K6, p3, repeat from *. Row 4: *K4, p5, repeat from *. Row 5: *K4, p5, repeat from *. Row 6: *K6, p3, repeat from *. Row 7: *K2, p7, repeat from *. Row 8: *K8, p1, repeat from *. 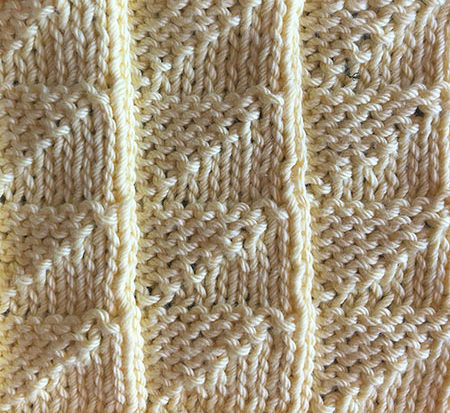 These 8 rows form the pattern. Repeat for the desired length.